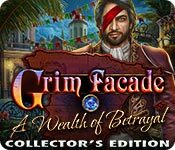 Grim Facade: A Wealth of Betrayal Collector's Edition is rated 3.2 out of 5 by 45. Rated 5 out of 5 by Amijane from My favourite grim facade! I've played all four and up until now the first one (venice) has been my favourite. I do not get the negative reviews on this one? This is far the best! Beautiful graphics (yes it is a painted story) and great voiceovers, thrilling story and a great variety of HOS and puzzles! I'm a grown up so love the scary bits (not for younger children) and as always you get to make out your own little scene with your coins! Rated 5 out of 5 by Smi87 from Just excellent! As usual, as soon as i see new ERS release, i buy it without even trying it. It was like that with this one as well. Great graphics as usual, slightly improved :)With every game they try to put something new, and in this one is the way some hidden object scenes are. Fantastic voice coverage and very interesting story. Some of the mini-games are easier, but i love it! I play these games to relax, not to over-think and struggle . Overall, amazing game , definite buy! Rated 5 out of 5 by psylocibin from did not get as far in as I like to but What I really liked were the Hidden O games and puzzles, although there was a real sanity to how things progressed, I still got stuck and lost a lot of time wondering what to do. I do need to hear from someone about all the goodies that would make this a good CE buy, but for sure I am into it for an SE. Although most games have characters giving a clue to enable one to continue, in this game the character gives more of the story along with sketches that illustrate the events. The images in the game are very clearly drawn and bright, I hate dark games but in the instance where a lantern is needed, the game was not frustrating allowing us to get the alley lit quickly. Showing the sketch of Rosa to each character also is part of the retrieval of the story and seemed well balanced with receiving parts of clues that lead one along the game..this is not new, but the balance of the adventure was pleasing. The scenes are realistic but fairly pleasant not fantastic and over the top beautiful but in line with this story and not ugly. When a cake stand is dirty, that is acknowledged and dirt is not the overall world like so many games that have one digging through garbage and dilapidated buildings. I have decided not to buy those any more as they are disgusting to me. If you like that, have at it. I am unlike those who are squeamish about snakes and spiders for eg. but there are not a lot of those here I am only trying to indicate what bothers me might not be what bothers others and vice versa. One does feed a fly to a spider, but that is not the major thrust of the game, it is only part of a puzzle to find food and feed it to the correct animal. this is very simplistic and would be something one could do with a child, but it was not so easy that I was turned off. Heck, I just liked the game even though I got bogged down and I think a lot of other people will also try it and see if you are in the same camp as me. Let me know too if you do. Rated 5 out of 5 by janmo8225 from Loved it.... There are enough HOG's and other games which I like to play. Rated 5 out of 5 by pennmom36 from The Fire Knight Seeks Revenge! Rosa Ramirez has been accused of stealing the sword from the town statue, unleashing the wrath of the Fire Knight himself! You have been hired by Rosa's husband to solve this case and clear her name. The story has been told for three centuries about a man who fell in love, but the woman he fell in love with was accused of witchcraft and burned at the stake! This man became cruel and bitter, he studied the black arts until he became the fire knight and wreaked havoc,slaughtering nearly everyone on the town. But with one thrust of a sword the fire knight was swiftly killed and gone for good, or was he.... This game has a very interesting story, the only thing I disliked about this game was the fact that the cinematics don't seem to fill in pieces of the story adequately. There are achievements to earn and an entire room to store them in. You find butterflies (what is up with butterflies lately) throughout the game which can be used to purchase items for the bull, but that makes no sense to me. 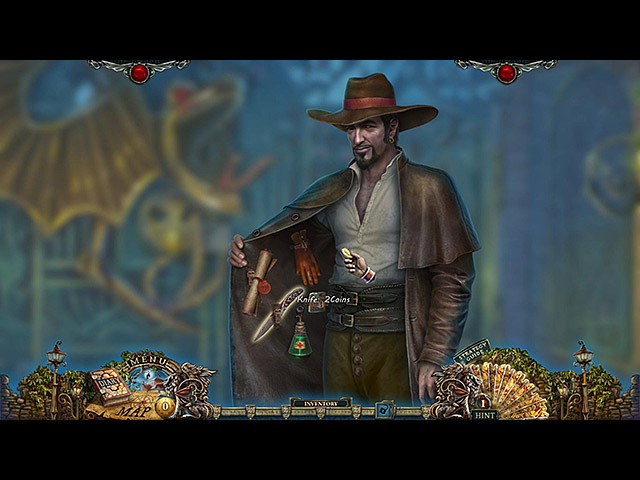 During the game you will find gold coins which are used to purchase goods from a local shady vendor in a dark alley. 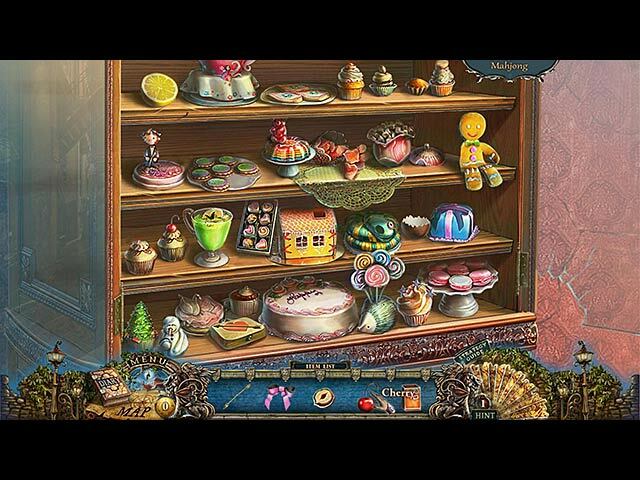 The Hidden Object Scenes are a mixture of just about anything you want from: Finding items that match the simple descriptions, Putting items back into the scene, Finding the correct foods to feed different animals, Finding 12 stringed instruments and even using an eraser to find objects in a book. If you don't like HOS there is a game of mahjong you can opt for. The mini games were available in casual or hard settings within each game which I thought was cool. You had to find the differences between a sketch and a real character by clicking on the differences. There was also games such as finding the coin after thimbles were shuffled around, nothing too difficult, enjoy! Rated 5 out of 5 by possumb from Another ERS Masterpiece This is the last offering of the Grimm Façade - and the best. There are many extras and the storyline is totally fascinating. I just started and am hooked. The graphics are excellent - special effects almost make you jump out of your chair - love it. Rated 4 out of 5 by rosekaufmann from GOOD PUZZLES AND "HOS" Although this is an ERS game, it does not seem to be up to their normal super-great standards. That's not to say the game isn't a good one; it's just not a great one. Starts out a little slow but gets better with play. Graphics are good, just not the usual outstanding artistry. 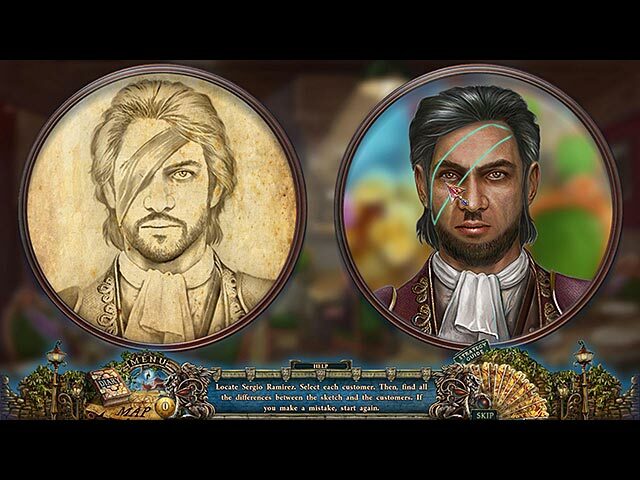 Storyline is a good detective story in the 1800s and graphics seem to depict that period well. Not a lot of HOS - interactive game instead (such as feed the animals in the HOS scene). Puzzles are the usual variety and you can choose hard or casual for each, which is a nice touch. Not sure that this has enough to qualify as a CE for me; I like morphs and more collectibles.